Seniority & Expertise for Crisis Communications is needed more than ever. From a tweet up to a product fault, you can’t pick your Crisis. But you must be ready at all times. The lessons learned by executives who have weathered a crisis are relevant to anyone who finds themselves in challenging circumstances. 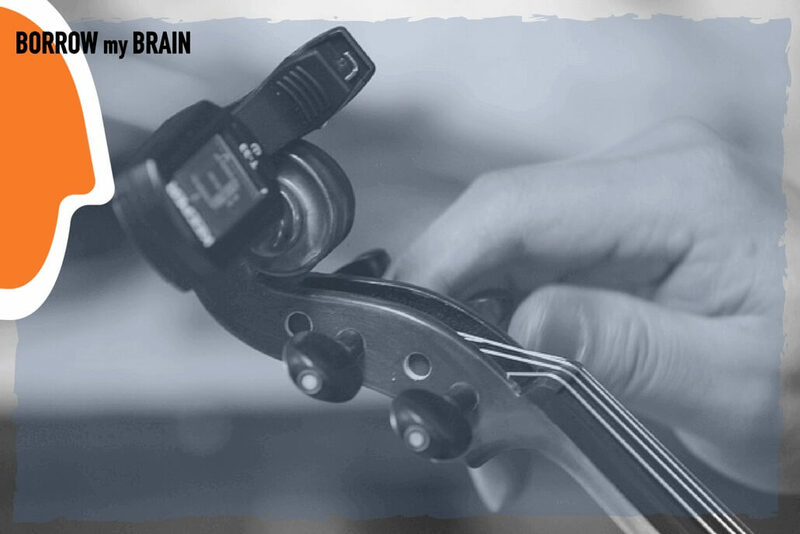 We all like to think, that we respond well under pressure. That we can handle criticism like the professionals we are. But what happens when a public criticism escalates to accusations for a company and its products, or a real Crisis incident occurs? In other words, when the $#!% hits the fan? The CEo of Novartis thought it was just a reactive statement-excuse? Unfortunately, only in Crisis-tough-times, you can see the systems, the qualities, and the seniority of a Company and its Executives. Expertise and Seniority needed to handle the case at hand and try to make your Brand as “invisible”. Seniority and Expertise for Brands and the humans who run them are the two elements that make the Crisis management strategy so crucial. Donald Trump Jr. tweeted an image using Skittles as an analogy to Syrian refugees to promote his father’s presidential campaign. This only created a big fuss over social media (read PRDaily) reaching all kind of issues and angles. You’ll never know how a Crisis incident can start and where to go… The above ‘medialized’ topic brought in the same arena all sorts of groups: from white nationalists flagging “Americans before illegals” up to brand marketing haters, all ‘fighting’ over social media. Uber went from one of the most celebrated startup-brands in the world to one of the most criticized in just a few months. Weren’t they prepared? Tax avoidance in the UK. Losing their permit in 2-3 more countries for non-compliance with local labour and health & safety laws. In 2017 it was revealed that Uber CEO Travis Kalanick was serving on an advisory council to President Trump. Startups and politics? Lobbying and legislation? The hashtag #DeleteUber was born and it went global. The hashtag re-ignited during a taxi strike in protest of President Trump’s immigration ban. 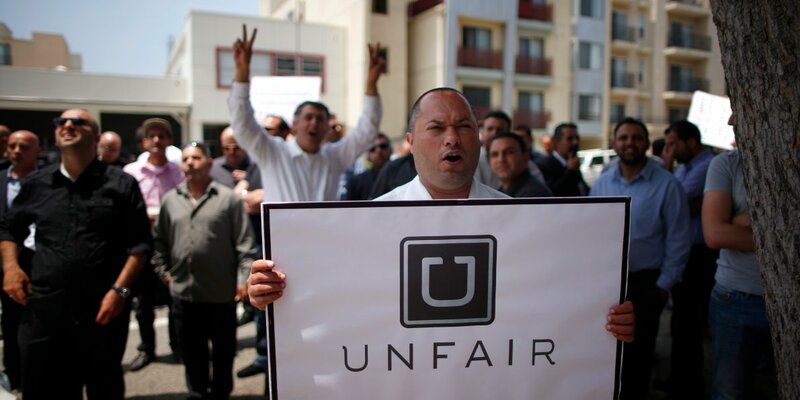 Taxi drivers, people, and communities gathered at the JFK International Airport. Is it possible that Uber doesn’t own communication expertise in-house? But it wasn’t only that: an ex-employee levelled claims of sexual harassment and gross HR misconduct at the company. Kendall Jenner, model and TV personality (…more Kardashians) starred in a Pepsi ad (April 2017) that appeared to borrow imagery from the Black Lives Matter movement. 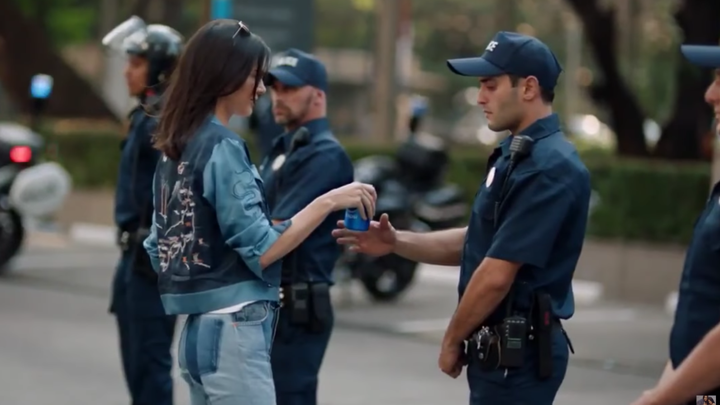 Pepsi’s film showed Jenner defusing a political rally by giving police officers a Pepsi. After social media outcry, Pepsi apologized and yanked the ad after one day. Cyber-security is now globally escalating. Hackers hit governments, and banks. Companies and customer private data. But what can we learn as Communication professionals from these crisis cases? The 2017 Equifax (credit rating agency) data breach was one of the largest ever! Personal data of 143.000.000 Customers were hacked. The company delayed releasing news of the breach for months. Its top executives were uninformed. Its apology, filled with corporate jargon and passive sentences, was opaque. Its online tool meant to help customers suffered technical problems. In February 2018, the company admitted there might have been more hacks… You can imagine the impact! In 2013, an IT security blogger broke a huge story: Target’s IT systems had been hacked, exposing the personal data of up to 110.000.000 customers. Target issued a statement and posted a video on its website. The company apologized, explained how the hack had happened and offered free credit monitoring for affected customers. Unfortunately, it responded before officials were fully aware of the cause of the problem. This forced Target to later walk back some of its statements, such as the number of customers whose information was hacked. In the eyes of the consumer, Target seemed unprepared, unprofessional, and a bit suspicious. Neither the magazine’s team or Hearst Communications took ownership of this tactless mistake. The public will remember that no one apologized. Brand reputation? The public spent days demanding and posting about an apology that was never made. You need to be prepared for today’s media culture, in which a tweet can become newsworthy and a news interview can become tweet-worthy. If you lead a company or a team, you can’t monitor 24/7 every little bit of the operations you manage. You work in routine, among policies and meetings. Projects and deadlines. Who has the time to proactively audit and assess possible risks? We suspect that Skittles probably thought their crisis risk was more likely to come from a food safety problem than from campaign tweets. Others like Nordstrom (see her the video where D. Trump indirectly attacks the brand) and Oreo have similarly found themselves pulled unexpectedly into political debates. Regardless of the cause, the important thing is to have the right people, data, tools, process, and mindset to handle whatever might come your way. In September 2015, the U.S Environmental Protection Agency accused Volkswagen of manipulating its engine controls to be able to pass laboratory emissions tests. The company violated the Clean Air Act by selling vehicles that didn’t meet environmental requirements, but it was also violating its customers’ Trust. Unfortunately, the way the company handled the scandal made things even worse. First, a legal group represented the company. Secondly, the company’s response was seen as inconsistent with facts. Company executives claimed they didn’t know about the cheating, only to reveal they did just a few days later. As the company set out to recall millions of vehicles, officials promised to reimburse some, but not all, customers for their troubles. In every Crisis room, I’ve entered, in the first hours the CEO meets with the legal counsel. They need to assess legal risks and impact. But usually lawyers, in a pompous manner, play around with statements, announcements and estimates on how analysts, investors, partners, and media will react. Now, really, what do they know of Branding and Impact? What about other constituencies as Customers, employees, authorities, and partners. What about Transparency? What about taking responsibility? What about living up to the company’s mission and values? The usual mistake: Head of Marketing and HR are involved later than lawyers. The experts that own wider perspectives on Brand, Internal comms, Media relations/impact, and Storytelling consequences. The companies’ digital presence and social media, nowadays, have made sure that a story can grow exponentially and go from zero-to-crisis in a matter of hours. It also means that you don’t have control over the story that you once had through paid media and mass advertising channels. Back in time, the usual question was “What are we going to say about this?” In the global marketplace, the question has now become “What are others going to say about this?” …shareholders, analysts, bankers, partners, Customers, employees, media and authorities. It doesn’t matter what you say when the crisis incident is ‘on-air’. If your company doesn’t own enough goodwill and Trust, when the crisis comes, it’s often too late. In other words, unless your CEO is an active influencer in social media; you have a community of brand advocates ready to speak up and support; you have a transparent flow of information 24/7 for years. Failing to speed up in responding to a public issue, creates an information void. Media, people, and communities will create their own story, usually ten times worse than the reality. Failing to align and activate, soon, the senior team creates a Vision gap to the rest of the organization. If your people hear the outside-in story, they follow the internal ‘grapevine’ and Culture momentum is zero. Media always present the negative angles of a story. Stay calm, positive and optimistic. Keep your eyes on the long-term. Then, if you are someone who gives answers and solutions, focus on the user/customer and that you are doing what’s best for them. You might not be able to control entirely what audiences say about you. But there is two things you can control: a) Yourself as a leader, and b) Your cautious steps to resolve, address the issue, and inform the public. A crisis is a crisis. It’s all about how you handle it. And that’s within every leader’s control. Putting out fires is your job. Hannah Jones, Chief Sustainability Officer at Nike, believes that a company “should never let a crisis go unused or unleveraged.” In Nike’s case, complaints about working conditions, in the late 1990s, turned into a corporate culture building program. They accepted accountability and began to make the deep, systemic changes internally, in their supply chain, and to embark on a journey of collaboration and advocacy with the industry as a whole. Sometimes Crisis are symptoms of something that needs to be fixed: product, operations, quality, safety. The lessons learned by executives who have weathered a crisis are relevant to anyone who finds themselves in challenging circumstances. We all have to get better at overcoming obstacles, dealing with uncertainty, and staying focused in a changing environment. It’s good advice for everyone to be prepared, stay true to your purpose, involve others in solutions, control what you can, and work on the underlying issues. Tasos Pagakis owns Crisis communications expertise within Telecoms, Energy, Pharma, Financial, and FMCG from 8 company mergers, 5 global corporate change programs, and from 42 ‘heavy-lift’ crisis (ie. Death by accident, Telco & radiation, Petroleum operations, Bribery allegations, Security systems, Food contamination, Network outage, Factory-river pollution, Consumer rights). As of 2016, he facilitates Crisis Preparedness Workshops for Companies and Authorities.